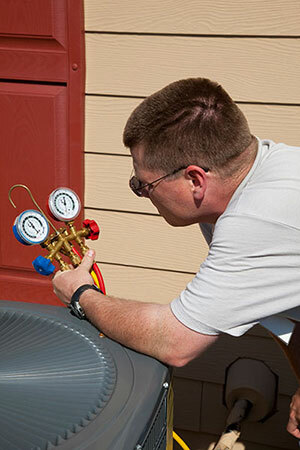 Boerne Air Conditioning Experts is the leading source for AC repair and installation in Cordillera Ranch and the surrounding communities. After years of experience in the industry, we’ve learned that even the best air conditioning units won’t last forever. 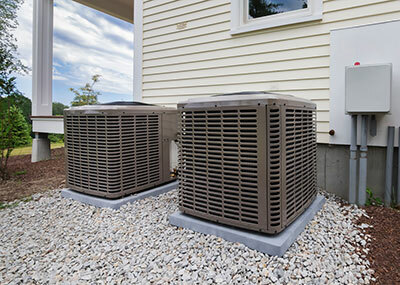 But, in most cases maintenance and occasional repairs are all it takes to keep a good AC system going. Unfortunately, a time will come when you need to replace the air conditioner in your home. For many homeowners, this happens once in their lifetime (a well-maintained HVAC system can last 10 years or more) as most people move between houses and it’s unlikely you’ll be in a home when it’s time to replace the AC unit. Even so, what should you be on the lookout for when it comes to deciding if now is the time to replace your existing unit? Our team at Boerne Air Conditioning Experts is happy to share some of the warning signs that a need AC replacement might be needed for your home or business. The first thing to consider is how old the unit is. If the unit is more than 10-15 years old, you may need to replace it depending on how well maintained it’s been over the years. For units that are more than 15 years old, a replacement is likely. You should also think about your unit’s repair frequency. This tends to be the reason most people replace their AC units. If you face constant repairs and regular breakdowns, the cost of repairing the unit will exceed the cost of a replacement. If you’re seeing weekly breakdowns or monthly breaks with low energy-efficiency results, it’s time to replace the system. Energy efficiency is another factor to keep in mind. While ENERGY STAR recommends replacing air conditioners that are older than 10 years, you may not need to. Watch your energy bills during the spring and summer, if you’re noticing drastic increases when the rates for energy haven’t gone up, it’s likely that your unit is to blame. Age and number of repairs per season should be factored in before upgrading to a more efficient unit. Then again, energy-efficient units often come with energy credits that can offset costs. Last but not least, consider your unit’s refrigerant, particularly R-22 refrigerant. Refrigerant replacements used to be simple, but with the phasing out of R-22 (Freon), prices have recently escalated. Now, along with the cost of leak repair, you’ll find yourself paying more for R-22 than you would on refrigerant for a newer model. It’s better to upgrade now before prices get out of control. For homeowners living in Cordilla Ranch or any of its surrounding areas, our staff at Boerne Air Conditioning Experts will come inspect your current AC unit to determine if simple repairs will suffice, or if a replacement is needed. If you have additional questions about your air conditioning system, or if you’d like to schedule maintenance, feel free to contact one of our team members for more information.